Here are some cookbook titles recommendations and cookbook reviews for home managers, and a place for you to share your recommendations too. Something you have to do, day in and day out in any home, is make sure to feed your family, including preparing it, cooking or otherwise acquiring it, and then cleaning everything up. All this kitchen work is a lot more fun and satisfying when what you serve tastes good, and is easily prepared in the time you have available. That may mean quick crockpot meals, or long drawn out preparations depending on your energy and skill level in the kitchen. No matter what skill level you are currently at in the kitchen though you can always learn more and improve, and can always add some new meals and other dishes to your cooking repetoire to break up the monotony. That is why us home managers are always on the lookout for new cookbook titles that might give us some new skills or ideas. Therefore, this is an area where I am sorely lacking in specific recommendations. I will tell you I thoroughly enjoyed the book Julie and Julia: My Year of Cooking Dangerously , in which Julie Powell cooks through the over 500 recipes in the cookbook, Mastering the Art of French Cooking by Julia Child, in a year. I have yet to see the movie version though. I know that isn't much of a recommendation though, so I really need your help. 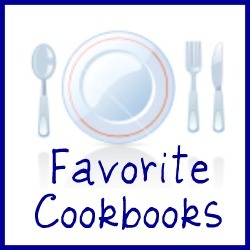 Please share what you believe are the best cook books and most fun cookbooks you have found with everyone below. Have you read or used a great cookbook that was really helpful, informative or had some great recipes? Would you recommend that others read that cookbook too?